Perfect for the Freemason in your life, this Masonic pocket watch offers understated elegance and style with its vintage look and feel. 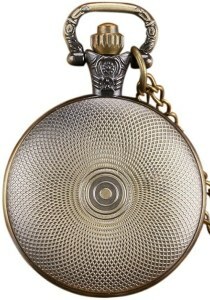 The case has an antique brass finish and features Masonic-themed artwork that will make it special for the Freemason. 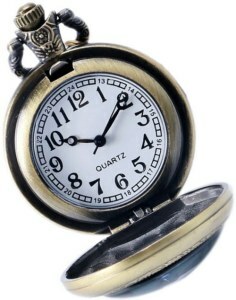 This is a great gift idea and commemorative pocket watch. 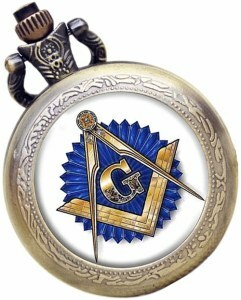 Mason Masonic Freemason Lapel Pin Tools of the Craft Gold Plating w Enamel 1"
Mason Masonic Freemason Lapel Pin Compass Square "G" Gold White on Blue Round 1"